And all the world may succeed. But they’d only make it better for us. If you were dead, like me. If I only I knew that in life. I did realize my fault. But a great gift from God to us all. The poem that inspired the drawing is right here. Please enjoy. What a nice and hopeful poem. The rhyming was very well-done! I'm glad I clicked that link Great job ! 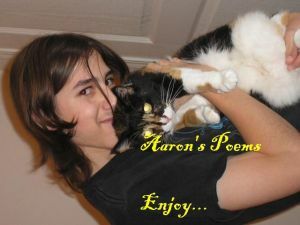 You use a very good sctructure(which I also prefer using) and the poem flows very niceley. Only thing I dislike is repeating I've never and no longer. Personally I try to avoid such things. I also think it's a tad too long. Prose should be long, but poetry should be either short or contain ~5-6 stanzes at maximum(my personal oppinion) and carry the message in them. If it's longer it's a song rather then poem. I really enjoyed the description in this piece - the title itself suggests to me the grey descending as the light returns... but that might just be a personal interpretation. I particularly liked For love is not a hindrance, it made me smile because similar thoughts have been plaguing me for not too short a while, too. The only thing that held back the poem for me a little was that sometimes the flow wasn't very consistent due to an uneven meter throughout. But that's coming from an open poet who finds sticking to set stanzas like you have very difficult. So really, you've done quite well. H. P. Lovecraft was a horror writer, who's style was much compared to Poe's, though I prefer Lovecraft to Poe. He was much more creative. Thanks for the critique. I haven't gone by stanzas in a long time. I almost forgot this poem was here. It's cool, I like your comments, you're one of the few people on here who actually looks that deep into my poetry. I don't care if you double post. and think you should have kept it up maybe. Aaron, that is so sweet. Your poem made me feel all warm inside. It was so sweet and romantic. May you two be together forever. well, that's what I'm hoping too. Its hard though, when your so young. i love this poem it is written with such emotion and feeling. why, thank you very much. well u deserve it, its a great poem. well, thanks for your continuous compliments on my poem. May i suggest other readings from my gallery in this genre? I promise to you i will, but it will be tomorrow, its getting late here. cool that ok, thanks. hope u got some sleep! who doesn't feel dead at least once in their lifetime? poems can be as long as the author desires, and when it was shorter, it didn't feel done. ...if you insist, but don't expect any changes to be made. I know, I'm listening to you, I'm just afraid to change something that everyone else seems to like the way it is. oi, now I have to think, first time I've done that in a while. Incredible work... very strong emotions! Powerful work. well, your getting interested, aren't you? thank you for your comments. Just kidding, this is really well done, but it feels like it needs a rhythmic change somewhere, being so long and everything. Well, it's not meant to be a song...it is just a poem, i think the rhymes are fine, but i will take it into consideration. Thank you for your suggestions. This poem was truly heart felt, and I was in the perfect mood to read it. I've recently just re-established my faith in love. And what a great way to consolidate by that poem. I had forgotten that you hadn't read this one before. thank you, glad i could help with your re-establishment. I love the sensibility you show in this poem. And yes, it's a feeling that attacks us all. No one could have describe it better. Two thumbs up. thank you. While i'm at it, thank you all. I'll continue to write poetry. .....thank you, i never expected this one to be this popular. Yea, I know whow that goes. The ones you expect to be popular arn't and the ones you dosn't expect are. a long powerful poem, it's .... just... so... uhmf.. again i can find no words to discribe it, i think if you start labeling it, it wouldn't be enough, saying it's good is an insult. i love that you have been able to draw away from the whole, "poems have to rime", thing.. i find poems that break that "rule" to be greater than, rims.. Thank you for the great comment, people tend to gravitate towards this poem. Breaking free of the constrictions of poetic "rhyme" is one of my trademarks i suppose. I will continue to write, if those who are out there continue to read. And I won't tell your sis about it. seriously? thanks a million, i'm kind of self concious about my poetry. Grayson can't do this stuff because.....he's extremely beyond help, to put it blatantly. well, if Katy joined, i suppose the more the merrier. The Ever-Constant HaloWhat is going on? What Hail The New YearWhat hail the new year? The growing darkness, oh no. It's so dark out tonight. Every love we would die for! 'The Desolate Hour'What happened in that basement, I rather hope I forget, or at least I hope I may perish soon so that I no longer have to endure the constant mind rattling images that appear in my mind when the night is dark and the clock strikes 12.
hearts tonight will be worse. gently sketching music notes and whispers. I spent months in a vortex winding, and winding. And finally wound in to a tunnel. Tubular and long, I'm walking through it. The end isn't a thought or a sight. No cliche's about light, just tunnel. And I'm thrilled about it. Walking straight and diligently forward. Every day the scenery repeats. My actions repeat, with mild differences. Life burns quickly, like the wick of a bomb. And the tunnel is the wick. I want to find my way back. I'm scrambling, moving shifting fixing talking screaming. Sleep is a memory, time tumbles, patterns disappear. I look forward to returning more than anything else. With a whoosh, it's back. The first day is different than the others. It's particularly exciting to organize the pace. The next day it's as it was. Does he feel the mountain under him? south-bound and over my canvas skin. its scent is keeping his mind clear and driven. Our hearts are thunder in the clouds of flesh. with the temperature and beat of the condensing sweat. than any queen, deity or goddess. Yes, I confess It's our secret ambition. that fuel the moaning curves in the midst of our creation. so deliciously reeking in this decadent sin. So to hell with heaven if they won't let us in. Like to pretend I did survive. My eyes still form a total eclipse. I no longer feel blood's warming touch. Fingers static, refusing to budge. Holding on, looking for life within. Be the bullet you shot into my core. Since you made this heart forget how to sing. But as we all know, that love is dead. Leaving before you've savored memories it brings. but He's not an ordinary prince. know that He is far from ordinary. would be the understatement of a million lifetimes. He is the greatest prince that ever lived! But, mind you, He is a very unusual prince. Mainly because He doesn't look like a prince. or at least not how you'd think a prince would look. He seems plain when you meet Him. Some people say He is not a prince, but He is. Because His father is a king. He is greater than any king that ever lived! He is powerful, awesome, loving, kind, merciful and scary sometimes too. Some people don't think He is real. Because they don't understand Him. They say He is too good to be true. A bitterness in my mouth. Leave nothing sacred to me. It's no wonder I can't forget. The acid upon your fingertips. Burning me from the inside. Cold lips pressed upon mine. Cobwebs and all, in my closet. I [hoped] I could forget. You still rack my soul when I hear your name. Missing in the Back of ClassThe kid who sat in front of me in class was really quiet today. It's weird, because we usually talk a lot when we're both actually here at the same time. It was a weird day, because it seemed like everyone was in class. Like, all the seats were taken and that hardly ever happens. And when everyone's here, it's never really quiet at all. See, I go to a D.C. public high school, which, if you live anywhere around here, you'd know that we have an incredibly high absence rate. And even when there's like half the kids than normal in class, it's never quiet. I mean, sometimes I think you learn more not going to my school than when you actually go. So, most of the time it's kind of thin in school. But, there were plenty of kids in class today. Like A MagnetIt wasn't long ago that you caught my eye. I knew I had to meet you, I just didn't know why. And I knew right away, it was only just the start. Your grin's like a magnet. Just a glimpse of your smile and I wanna hold your hand. Your dimple comes alive; that's when I understand. Heartbeams take over just the way they should. Cause you're something special; something very good. All my sleepless nights become filled with glee. And all my missing parts are found when you're with me. Just a glimpse of you and I wanna hold your hand. It turns me upside down and I'm under your command. So much more to discover. I'll never want any other. So now here we are hugging chest to chest. Forget all our troubles; forget all the rest. your still-life arms wrap me in a cold embrace. my insides, my insides twisted up in you. I shudder and bleed little loves. I suffer through it for the chance to be near you. lies to me in someone else's voice. My lips are still tingling from your kiss. My fingers still sparking with excitement. And your warm gasps in my ear. My legs are still trembling from your touch. My body still pushing towards the pleasure. I daydream about the way your body moved. And your skin, covered with a layer of sweet tasting sweat. My senses are still filled with heaven. And your hair. . . Oh, your hair. My body still feels the carress. My eyes are still wide with wonder. And I'm intoxicated with the sensual aftershock.